Norman was born on November 16, 1922, in Poygan to Laurence and Audrey Lee. Norm and Joyce were married on August 3, 1946. He is survived by children, Greg (Donna), Colin (Mary), Joneen, and Mark (Amie); as well as 11 grandchildren; 17 great-grandchildren; and 2 great-great-grandchildren. Children Barbara Lee (Domke), Brian Lee, and Perry Lee preceded him in death and most assuredly ran into his arms when he returned Home. Daughter-in-law Christine Brown (Steve), son-in-law Mike Domke (Donna) will also miss him. Norm started out as a dairy farmer on the fifth generation Lee homestead. 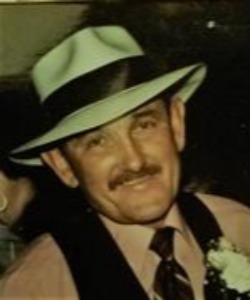 Later in life he became a master plumber and managed large water treatment projects for JF Ahern and retired from the company after over 30 years. After "retirement" he ran the Poygan water treatment plant for another 20 years. Norman was a true gift to his community and gave back much more than he received. He spearheaded planning and construction of Enterprise Middle School to consolidate aging, one room schools in the area into a new, modern facility. He served as Omro School Board Treasurer and then School Board President for over 20 years. He was fortunate to hand most of his children their high school diplomas. He served as treasurer and then head of the Borth United Methodist Church Council for over a decade. Earlier in life he was a tenor in the Borth, WI United Methodist Church men's quartet and Oshkosh Apollo Choir. He was a whip fast short stop on the Poygan baseball traveling team where Joyce was the score keeper. Norm was an active pilot for over 50 years, owning and flying a couple of Piper Cubs and an Aeronca Chief. He received his pilot's license at age 19 from Steve Whitman. He and three pilot friends enlisted in the Air Corps and were excepted into fighter pilot training during WWII. The Air Corps agreed to form a squadron called the "Flying Foxes. To his disappointment, he was called back as the only son on the family farm. He was an early member of the EAA and volunteered hundreds of hours of time. In his community, Norm was the guy neighbors called when their water heater, furnace, or water system acted up. It was once suggested that he start a service business, but he said "nah, some people just need a helping hand". That right there sums up Norm. His family and many, many friends will sorely miss him. A visitation for family and friends will be on Sunday, January 27, 2019, from 4:00 to 7:00 p.m. at Mueller Funeral Home 904 E. Main St. Winneconne. Visitation will continue on Monday, January 28 from 12:00 to 1:00 p.m. at the Borth United Methodist Church W304 Cty Rd D Berlin. A funeral service will be held on Monday at 1:00 p.m. at the church with Pastor Becky Kindschi officiating. Burial will follow in the Oak Hill Cemetery, town of Poygan. To the Lee Family, you have our deepest sympathy. Norman was such a part of both mine and Jim's life, we are going to miss both Norman and Joyce and all the quality time we spent together. They were such wonderful soles, and we felt so honored to have them in our lives. We were sorry to hear yesterday of Norms death. Now he has peace and happiness with Joyce. Sorry we didnt know earlier so we could have come to the visitation. The Lee family has my deepest sympathy, I thoroughly enoyed the many times I was blessed to provide both Norm and Joyce that helping hand to get them moving again! Neither will be forgotten and will continue to inspire us to keep moving and giving!! We did some surveying work for Norm. We truly enjoyed Norm's friendship over the years. Such a great loss to the Poygan/Omro/Borth Community. My sympathy to the Lee family for their loss. Norm was a nice man and certainly lived a full life. He and Joyce are now together forever as it should be.